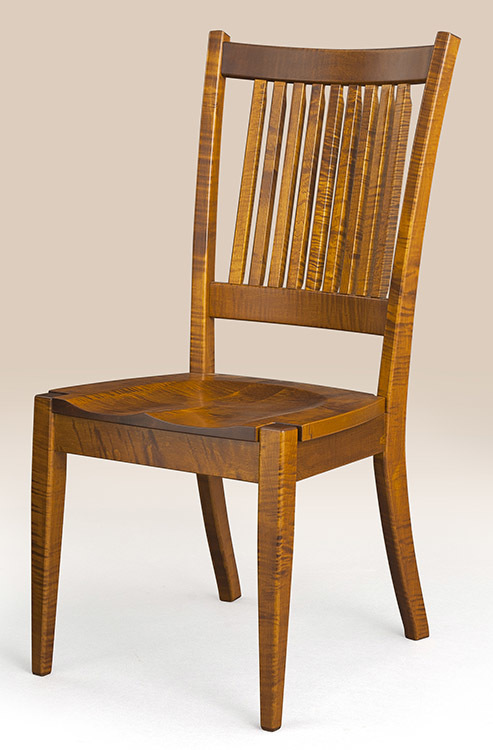 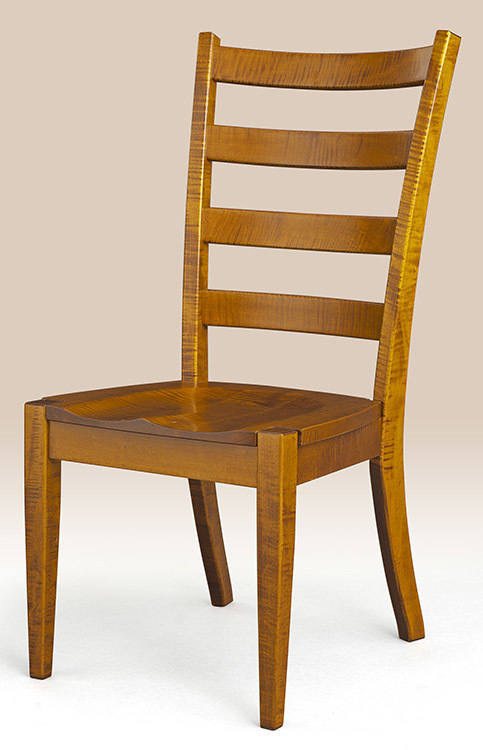 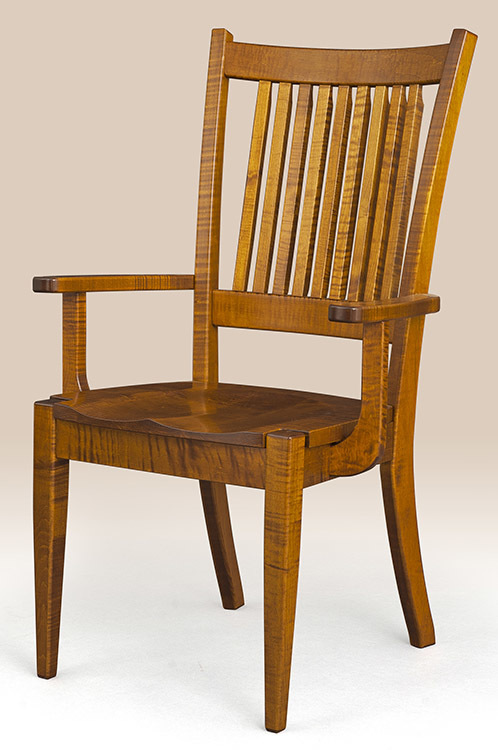 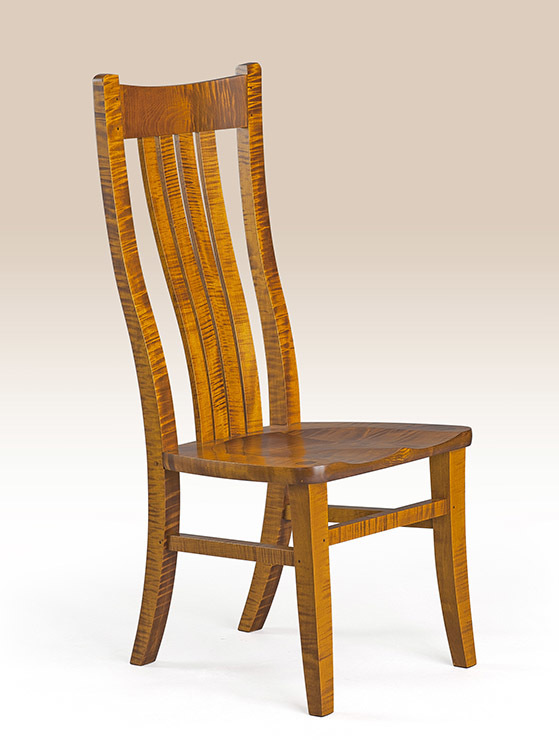 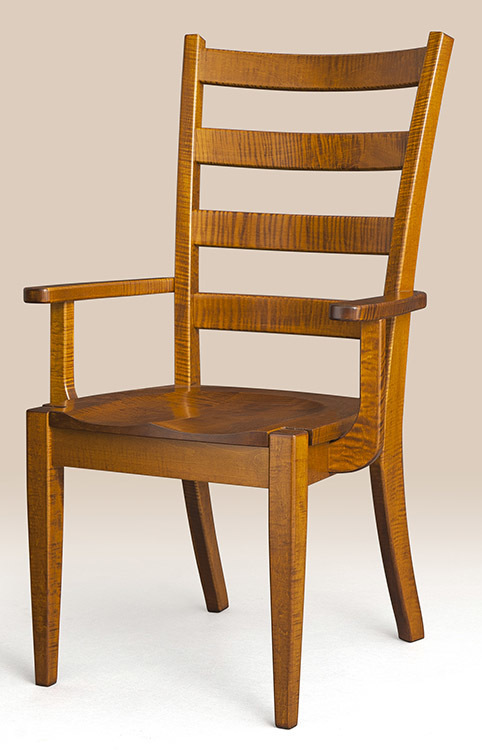 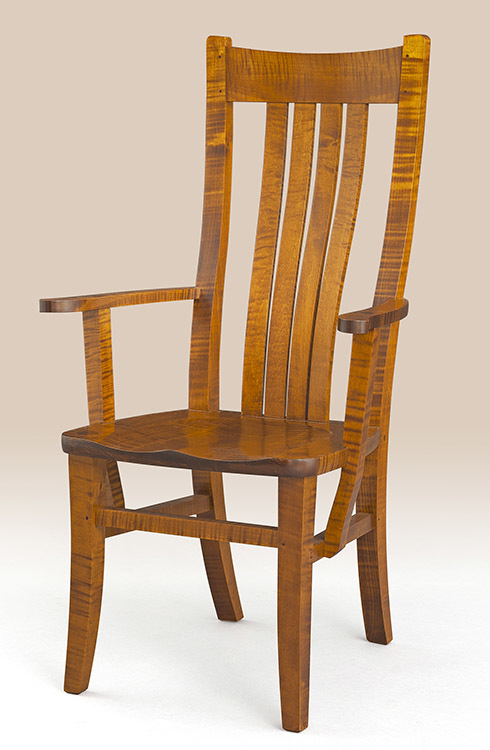 The Alford Ladderback Side Chair features an elegant design with ladder detail and clean, tapered legs. 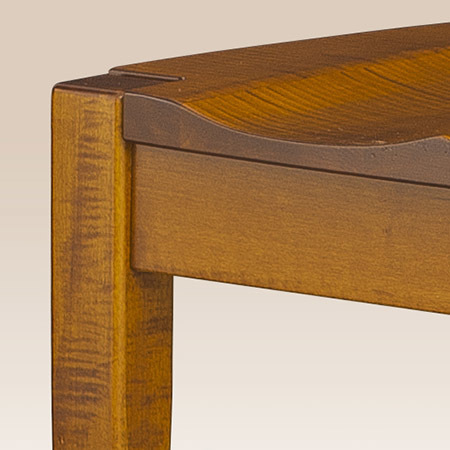 Use it at your dining room or kitchen table in nearly any style home. 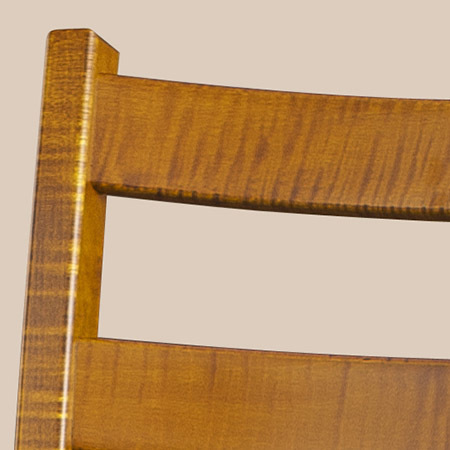 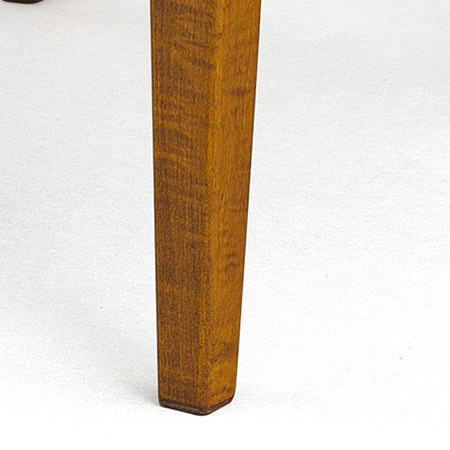 It is available in both tiger maple or cherry wood.